Thank you for giving the opportunity to serve you. We want to wish you a Merry Christmas and a very prosperous new year. Book your table to avoid disappointment..
We are a family run business and have been established for over 25 years. Tandoori Restaurant - Fully Licensed. Free delivery service within a 4 mile radius with a minimum order of £12.00. There is a take away 10% discount on collection orders only. We do Outside catering for large parties such as Weddings, Birthdays etc. We are open seven days a week, including all Bank Holidays. Evenings 6pm until 11pm. Friday and Saturday 6pm until 11:30pm. Take a look at our full menu here. Like what you see? Order or book a table. We are situated at 55-56 Bradmore Green, Brookmans Park, Hertfordshire, AL9 7QS. You can call us on 01707 662652 / 663259. Or you can drop us an email on Sheraj.rahman@gmail.com. 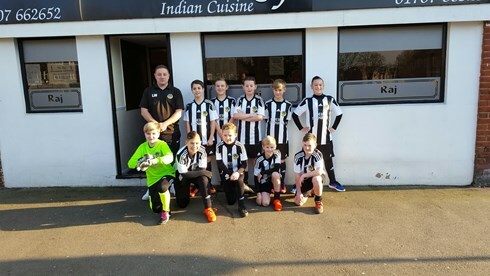 We sponsor our local football team, Potters Bar United (Whites). We have been sponsoring them for the last two years. We have a gourmet night every Wednesday. Choose from our extensive menu, 1 starter, 1 main dish, 1 side dish, 1 rice or naan and a coffee. £11.95. If you have a nut allergy, or any other allergy, please infrom the management before ordering food. Let management know of any diet requirements or allergies.